More than four months have passed since Nepal Communist Party (NCP) with two thirds majority has been ruling the country. Four months is not a short time for a government to radiate hopes among the people aspiring for positive change. But to their dismay, there is no sign of progress in any front. Governance seems to have further deteriorated in the absence of check and balance mechanism. More importantly, the budgets of both federal and provincial governments have little to address economic woes of common people. There is a serious mismatch between real need and targeted goals. The budget has set a target of achieving an eight percent growth which planners claim is achievable. However, priority and linkages of development components in the federal and provincial budgets indicate slim chance of attaining the economic goals. Is eight percent target based just on random hypothesis or is it the outcome of rigorous exercise? What supports that target? Budget was expected to incorporate the basic objectives of the whitepaper, but federal budget seems to be missing those objectives. The budget has targeted to double the national income and agriculture productivity in the next five years, but it does not have specific programs that help attain the goal. On revenue, budget has increased the tax rate and provincial governments are also provided authority to impose tax on local products without considering its impact on foreign investment. 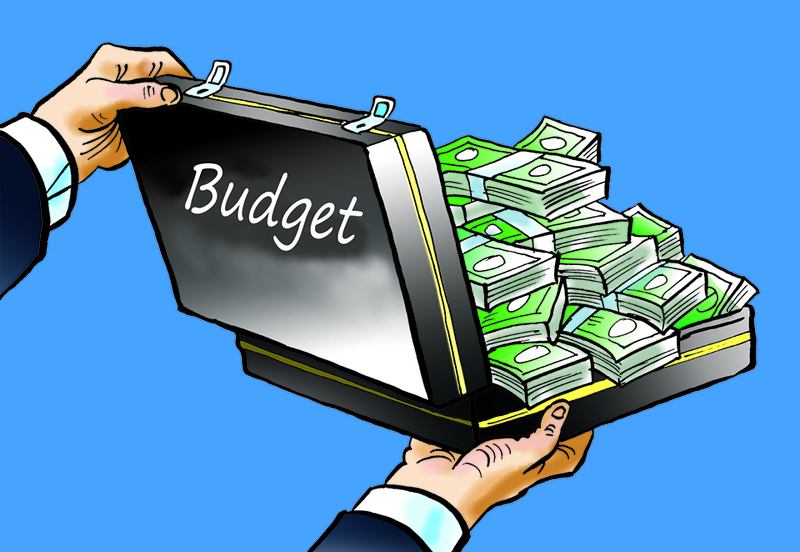 Budget estimation of provincial governments lacks basic tenets of budgeting as most of them have failed to establish link with the programs of federal government. In federal countries elsewhere, central governments work in line with economic programs of the provincial governments and provincial governments also develop their macroeconomic programs to meet the overall target of the federal government. But there is no match between programs of national priority and provincial budgets. Undoubtedly agriculture is the only sector that can play a vital role to boost economic growth. Agriculture contributes more than 31 percent to GDP, and as such it could be the most viable option to revitalize economy from the grassroots level. In principle, the government has accorded high priority to agriculture and tourism, but in practice programs on agriculture and tourism are not sufficient to jack up a desired level of growth. The chief ministers of provinces criticized the the federal government for centralizing resources in the budget. They said that the budget does not support federal aspiration. But when provincial governments themselves announced their budget estimates, most of them are found to be doing the same as the federal government. Success of federal system largely depends on the attitude, commitment and knowledge of political leaders and bureaucrats at all levels. Federal government has a crucial role in upholding confidence of people with effective policies and programs. This does not seem to be the case. If poverty reduction and employment creation were the major focus, federal government and all provincial governments should have harmonized programs in line with programs relating to poverty reduction and employment generation. But that does not seem to be their focus. The budgets have only sold tall promises. The fundamental objective of budget should be to provide a guideline for overall economic activities based on policy and programs for a given period of time. Budget has set a target of doubling agricultural productivity and creating employment for 500,000 youths across the country, but does not have any relationship with any economic programs. As long as the budget fails to establish linkages between possible variables, achieving an eight percent economic growth won’t be possible. Each province should have certain level of target to propel the growth in their competitive areas, but nothing seems to have done in federal budget and the provincial ones. Every province and local unit has certain competitive edge in certain areas. Province 3, for example, has better competitive edge in tourism, whereas Province has better agricultural prospects. But they don’t seem to be the major focus of these provinces. Even lawmakers from the ruling party had raised question on some aspects of federal budget. They claimed that federal budget was no different from previous budgets. And experts have concurred. It is the responsibility of people’s representatives to assure the optimum use of national resources for the wellbeing of people. Hence, lawmakers in each province should be aware whether the resources are being used to uplift the needy people. Structurally the provincial budgets are not much different from federal budget. Most provinces repeated the mistakes of federal budget for they were focused on regular programs of provincial governments. Had the provincial governments carried out adequate homework based on research their budget would have established link with the major economic goals of the federal budget. Of course, this is the first federal and provincial budget and some shortcomings were expected, but planners and policy makers should have been aware about fundamental principles of budgeting in federal system. If people don’t see and feel marked difference between the budgets of the past and the present they will start questioning the relevance of federalism, and rightly so. Chief goal of federalism should be to empowering people economically. Success of federalism largely depends on economic empowerment of people. If the new system serves the ruling elites, it erodes public faith on federal system. Thus the ruling parties should work to guarantee economic rights of the citizens. Budget is the tool through which the government delivers on better governance for better economic empowerment of people. Failure to do so will put the entire system under the risk of failure.